Extended Metaphor Sierra Gordon Cesar Torres. 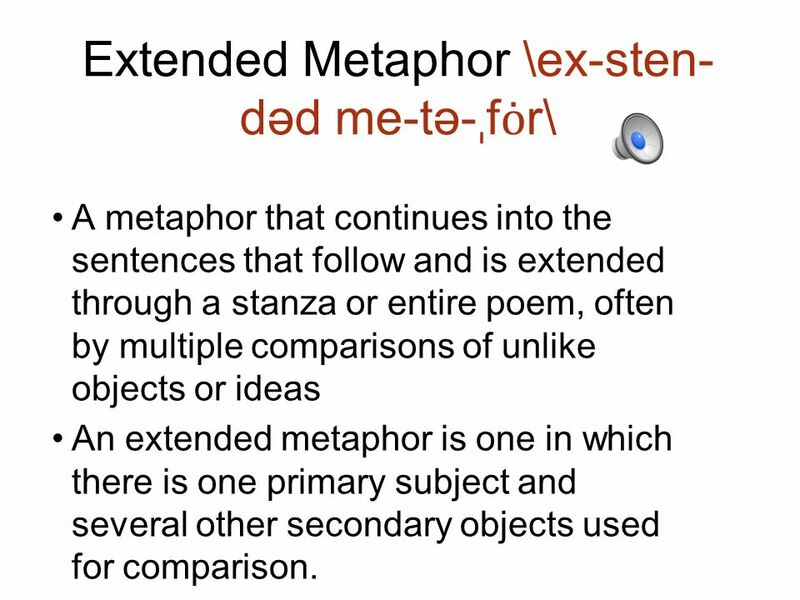 A metaphor that continues into the sentences that follow and is extended through a stanza or entire poem, often by multiple comparisons of unlike objects or ideas An extended metaphor is one in which there is one primary subject and several other secondary objects used for comparison. "Two roads diverged in a wood, and I--I took the one less traveled by, And that has made all the difference.” This poem can be described as an extended metaphor because on the surface, Frost is trying to decide which way to turn at a fork in the road, but the deeper meaning extends to life itself, should we follow the crowd, or should we venture into the unknown to seek out new and different experiences? 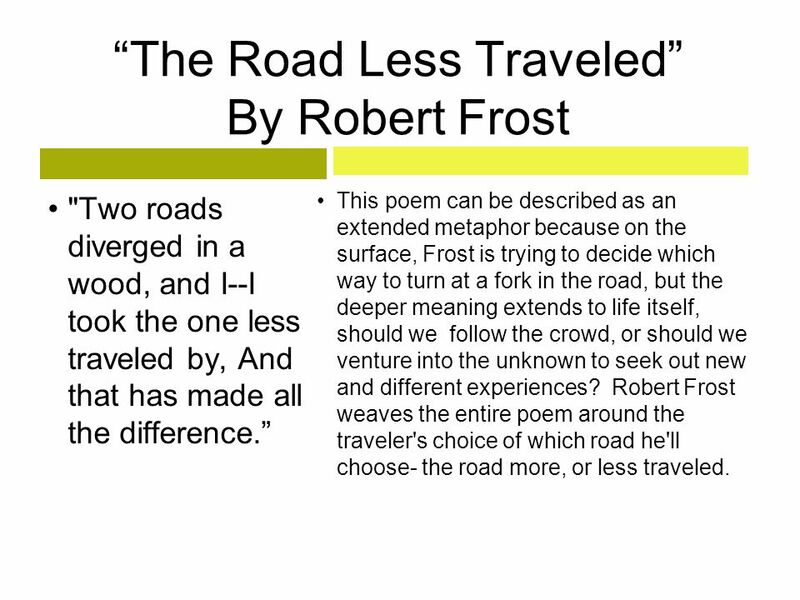 Robert Frost weaves the entire poem around the traveler's choice of which road he'll choose- the road more, or less traveled. “All the world’s a stage, and all the men and women merely players” Most of Shakespeare’s work can be classified as extended metaphors, but this, to me, is the most obvious. 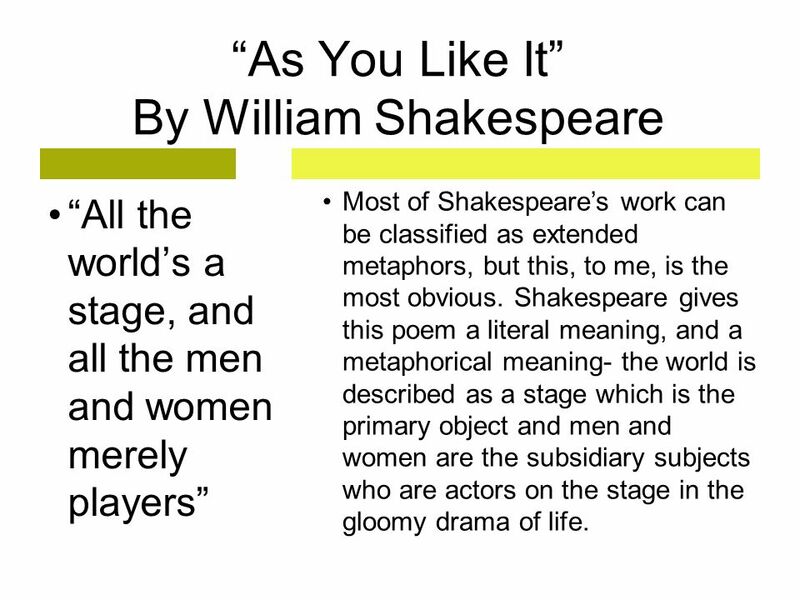 Shakespeare gives this poem a literal meaning, and a metaphorical meaning- the world is described as a stage which is the primary object and men and women are the subsidiary subjects who are actors on the stage in the gloomy drama of life. "Well, son, I'll tell you: Life for me ain't been no crystal stair. It's had tacks in it, And splinters, And boards torn up, And places with no carpet on the floor— Bare. But all the time I'se been a-climbin' on, And reachin' landin's, And turnin' corners, And sometimes goin' in the dark Where there ain't been no light." This poem can be classified as an extended metaphor because the speaker compares her life to a staircase and the comparison then extends to her saying that she’d been climbing on. The speaker first says “Life for me ain’t been no crystal stair.” Here, a crystal stair stands for a smooth and happy life. However, the stair this mother has climbed has had troubles like “tacks” and “splinters”. The stairway is difficult to climb for the mother- as is life- though she never gives up, in spite of the hardships. 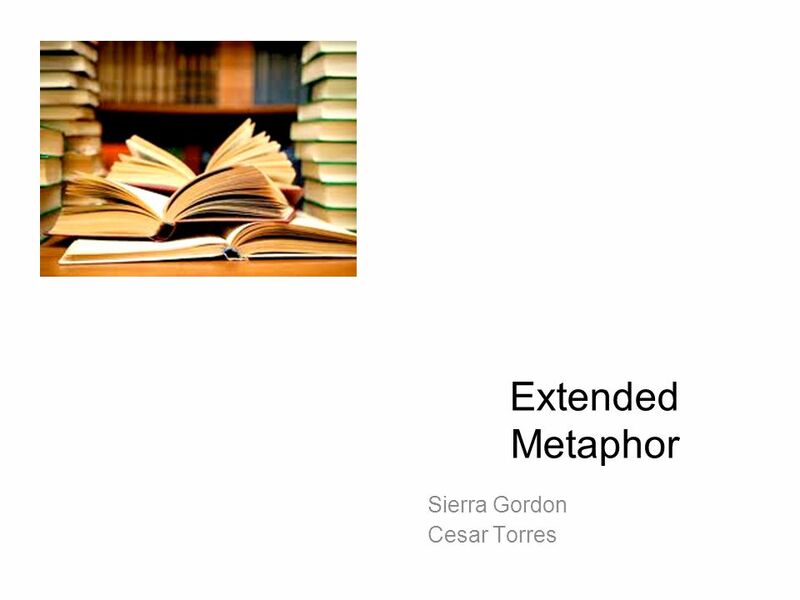 Download ppt "Extended Metaphor Sierra Gordon Cesar Torres." The Road Not Taken by Robert Frost (pg 28). Formal Cooperative Learning: Text Comprehension/Interpretation Karl A. Smith Laura Apol. What is Symbolism?. Symbolism is a concrete object that represents an idea (one thing that stands for something else). The symbol for peace The symbol. Well, son, I’ll tell you: Life for me ain’t been no crystal stair. It’s had tacks in it, And splinters, And boards torn up, And places with no carpet. Learning Objective: 4L2 In the lesson you will determine the author’s voice by looking at words and phrases the poet uses. What are we going to do? What. Response to Literature Mr. Lamar. State Standards 2.2 Write responses to literature: a. Demonstrate a comprehensive grasp of the significant ideas of. Langston Hughes and the Harlem Renaissance. 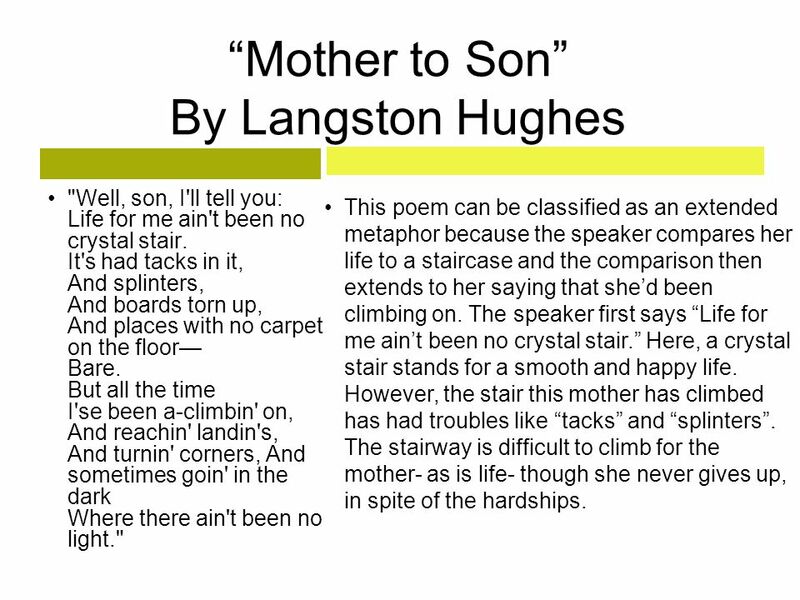 “Mother to Son” by Langston Hughes Well, son, I’ll tell you: Life for me ain’t been no crystal stair. It’s. The Contender. Characters Alfred BrooksBud Martin James MoselyLou Epstein Henry JohnsonHollis Donatelli Major Aunt PearlHubbard Bill WitherspoonUncle. How does a reader interpret symbolism in poetry?